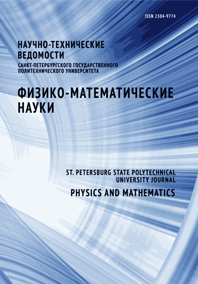 Shurpatov Anatoliy O. Ma Chin-Chin Belyaev Alexander K.
The problem of axial impact of a rigid body on elastic rod is considered. The Semi-Analytical Method (SEM) and Finite Element Method (FEM) are applied to handle the problem. The SEM of solving the problem implies the quasi-static Hertz theory and numerical integration of obtained differential equations. The number of necessary degrees of freedom of the FEM solution is determined and numerical simulation is carried out. The time of contact interaction and dependence of the contact force on the contact time are calculated. The longitudinal wave propagation in the rod is investigated. The obtained results are compared with the data from natural experiments. An inverse dependence between impacting mass and the accuracy of both methods is discussed. The results of comparison confirm the appropriateness of both methods for solving the problem.